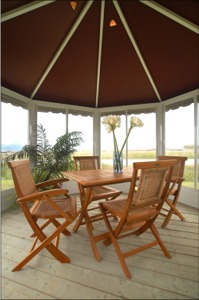 Patio Concepts Inc will satisfy any price range with the classic round or octagonal type screen room. Designed to fit on your deck or patio, these units provide you with that bug free space that allows you to enjoy your backyard. During the summer you can relax and keep the bugs and mosquito's away at the same time, bringing the outdoors, indoors! Click on any of the pictures below to go to pages with more information and pricing. Up in the spring |Down in the fall. Stays up all year round! Broad selection of screen sizes and types. Everything from standard 18 x 14 mesh to Pet, solar and No See Um options. Repair your existing windows or screen enclosure, or build a new space. We have you covered! 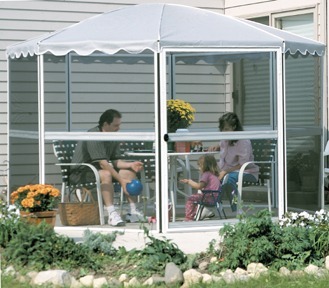 Have and existing Veranda Jardin screen enclosure that is in need of a new vinyl cover or parts? We sell and ship parts for these exceptional units across the country. Let us know what you need and we'll get it to you. 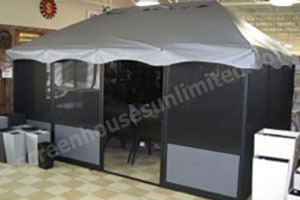 We carry over 100 different combinations of gazebos in sizes and colors designed to fit most decks and patios. If you don't see it here, call us, we will be pleased to advise and assist. 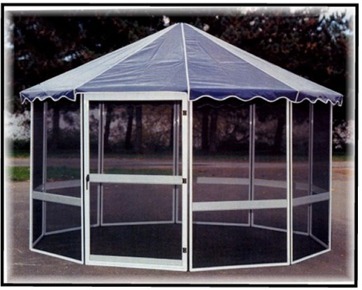 Check out our Free Standing Screen Enclosure Comparison Page! 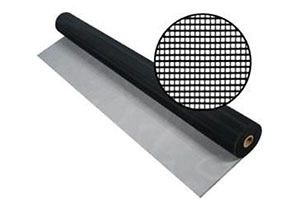 Check out our Wall Attached Screen Enclosure Comparison Page! We provide personal service and advice on your selection. Please call or email us with your questions on deck size, clearances, installation advice and tips. We are here to serve. Read more about legal stuff .